This month our chair of the month is the Lineground Armchair from Skram Furniture. 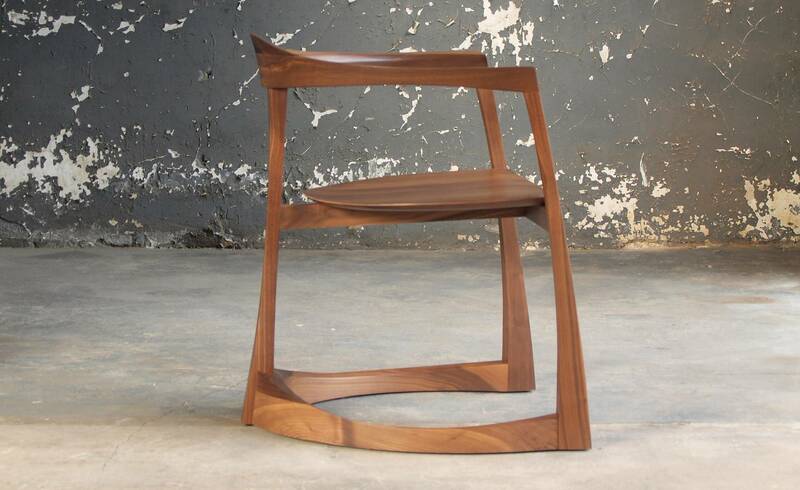 We chose this chair because it is a sculptural art piece all on its own and will fit in perfectly in any modern setting. 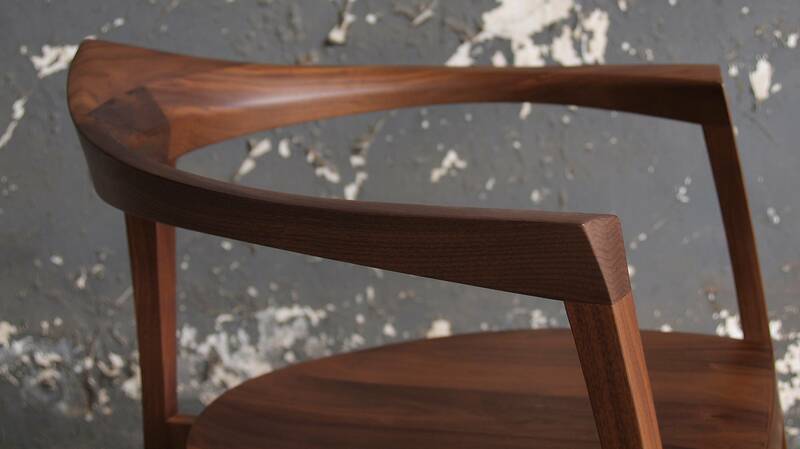 The curves of the chair create gorgeous lines that seem to want to embrace all who get to sit in the chair. The Lineground Armchair can be made of rift sawn white oak or walnut. It is constructed with mortise and tenon joinery and a detailed wafer-edge seat. It is finished with low-VOC, water-based polyurethane for the oak or a hand-rubbed low sheen penetrating hardwax oil finish for the walnut. The best part about this chair is who makes it. Skram Furniture Company is based in the Piedmont region of North Carolina right her in the U.S.A. They emphasize sustainable practices, authentic materials and extraordinary workmanship.